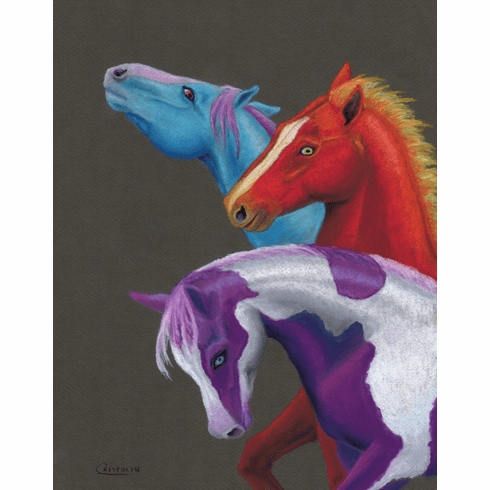 "Horses of a Different Color" is an original oil pastel painting by the nature artist Cristolin. The fantasy colors of the spirited horses are sure to please children and adult horse-lovers alike. This painting will fit right in with a bright color scheme, or bring a splash of color to a dull corner.